Just wanted to share my Klipschorn build that I just finished. Had a friend build the walnut corners. 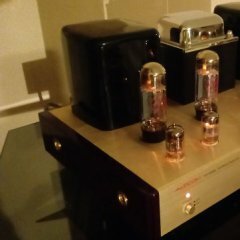 Driven by an MC275 and an ARS 9000 preamp. The work looks great, IDK why you have them raised so high? thanks. the risers will only be used for parties. 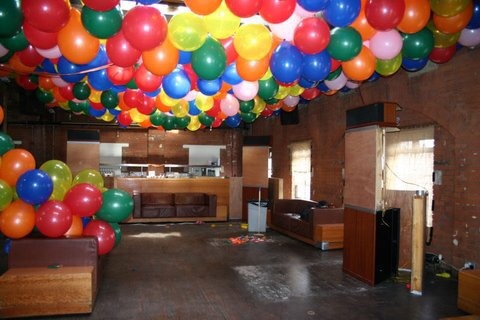 Your configuration reminds me of the way David Mancuso set up his Khorns for his renown NYC loft parties. Hope your parties rock like his! Your configuration reminds me of me of the way Davis Mancuso set up his Khorns for his renown NYC loft parties. Hope your parties rock like his! Thanks. Yes the Mancuso set up was the influence. Welcome, I cannot imagine how the job of lifting them into position is being done. It seems like it would be so top heavy. Nice, I had plans of building a pair as well. After looking at the plans i seen a lot of complicated cuts which changed my mind. A very complicated build for sure. Nice job. Nice job, that is exactly what I did years ago when I first got into HT and had some Academy's. Took a 2x2 piece of plywood, put a sconce on it with a (single) 3/4" pipe taking it up like you did and had the Academy sitting on top of it. The weight of the LaScala keep everything in place. Question.... does it seem to change the apparent scale of your sound or does it sound the same as when they're normal height? Surprisingly easy actually. 2 man job and once its all together you an grab the two front poles and shimmy the whole speaker into place. The sound scale changes for sure from further away. The purpose of raising the tophats is to push the mids and highs over a crowded dance floor. this room is about 1000 square feet and the ceiling is about 20 ft high. Sorry maybe I shouldn't of said custom build. The risers and corners where custom built. The Horns themselves are original 1982 found in the Garage Sale section on here. Don't want anyone setting condensing drinks or spilling something on top of them? Nah, that can still happen on the top of the bass bin. The reason is to get the high SPL mids and highs above ear height. David Mancuso did this with 7 Klipschorns at his legendary parties. 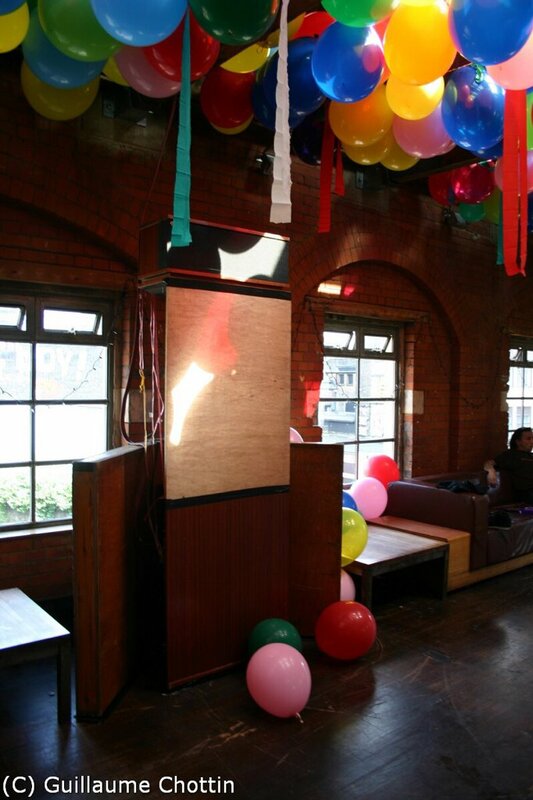 He additionally put vertical plywood between the two so it looked like one tall speaker from the front. Nowhere to set anything that way, either.